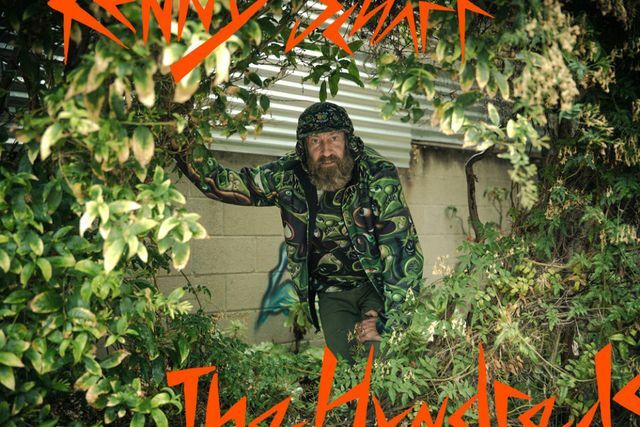 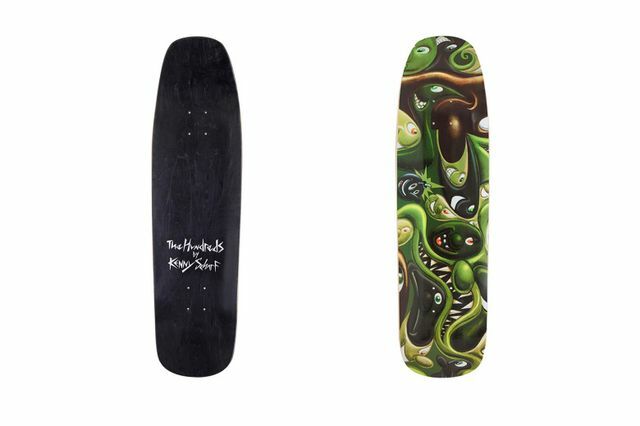 Leave it to The Hundreds to take the whole “collab” thing to an entirely new level. 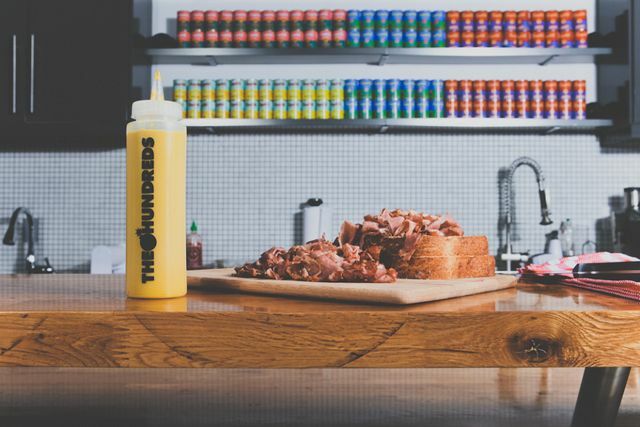 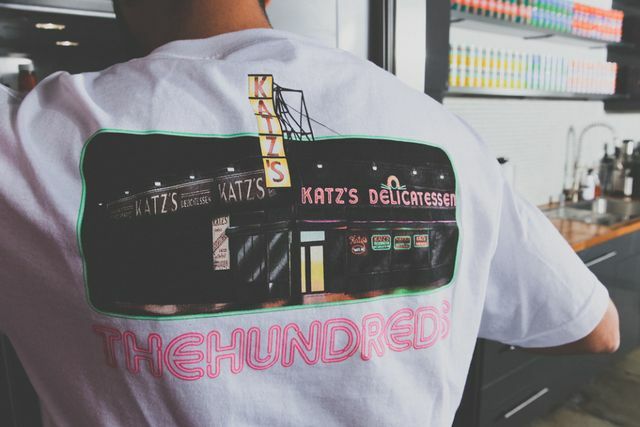 If you haven’t noticed already from clicking over, this lookbook is showcasing the latest from The Hundreds which is a collaboration with none other than NYC’s famous Katz’s Deli, a deli known world-wide for pastrami, mustard and long lines. 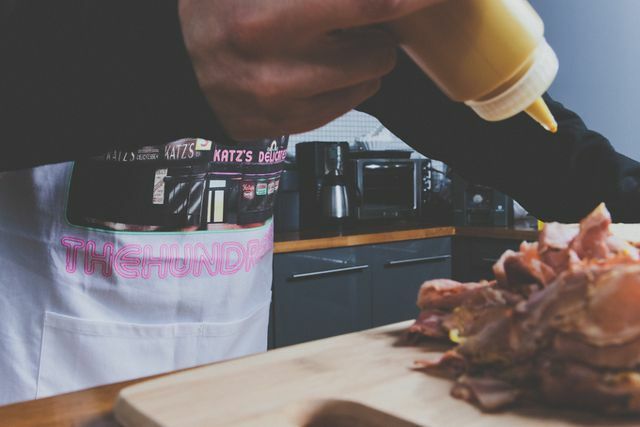 This collection features t’s, hoodies and more with Katz’s graphics throughout, and if that wasn’t enough, they playfully included a The Hundreds x Katz’s Deli branded carving fork and mustard bottle, and if that isn’t enough for you I don’t know what will be. 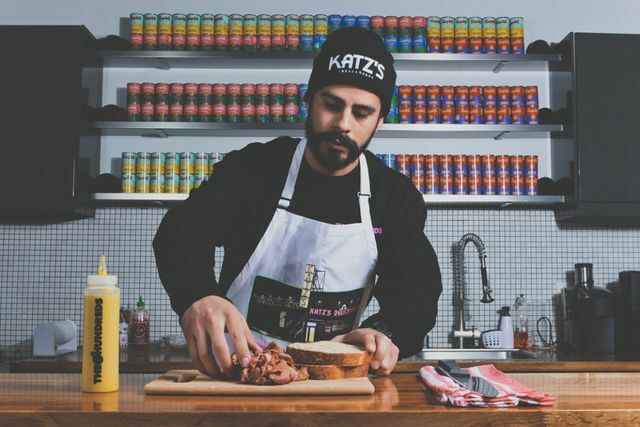 Designed in honor of Katz’s 125th anniversary, these tasty offerings will be up for grabs at Katz’s own pop-up shop that will be open next door to the infamous deli in NYC from December 17th through January 5th.